Whether you enjoy downhill or cross country skiing, a trail map is essential to knowing where you are. We print a lot of them for both kinds of skiing, located as we are in the heart of NH ski country! 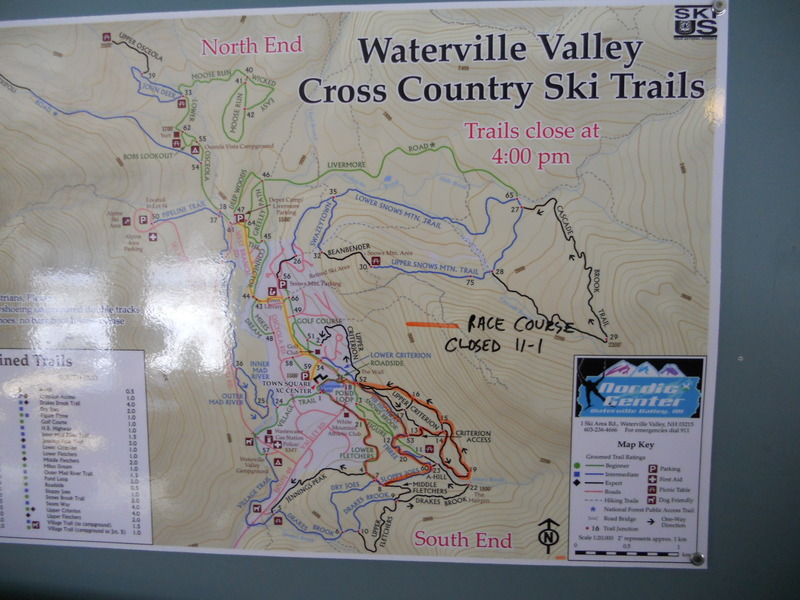 This particular map is located in the Waterville Valley Nordic Center, and we also made a number of them that are located on the trails themselves to help skiers figure out where they are as they are skiing. It’s one thing to have a map of the trail, and quite another to locate yourself once you are deep in the woods! These trails have numbers at each intersection, and the numbers are also shown on the map. Boy, is that appreciated when you are not really sure which way is up! This entry was posted in large format printing and tagged hiking trail signs, nordic trail signs, ski trail signs. Bookmark the permalink.